The Greek philosopher Aristotle once said “Those who know, do. Those who understand, teach”. Truer words have never been said, as it is a no-brainer to find that teaching does require an immense amount of understanding the width and depth of concepts, to be able to not just convincing, but also to influence the inquisitive minds who look up to their teachers for knowledge and guidance. In its quest to achieve the motto of “Gyanam Anantam” or “Endless Knowledge”, IIM T banks heavily on all of its professors who tirelessly work round the clock to help guide the budding managers to become invaluable assets to their respective organizations, society and the country. I feel honoured to introduce Prof. Sankalp Pratap to all my readers. 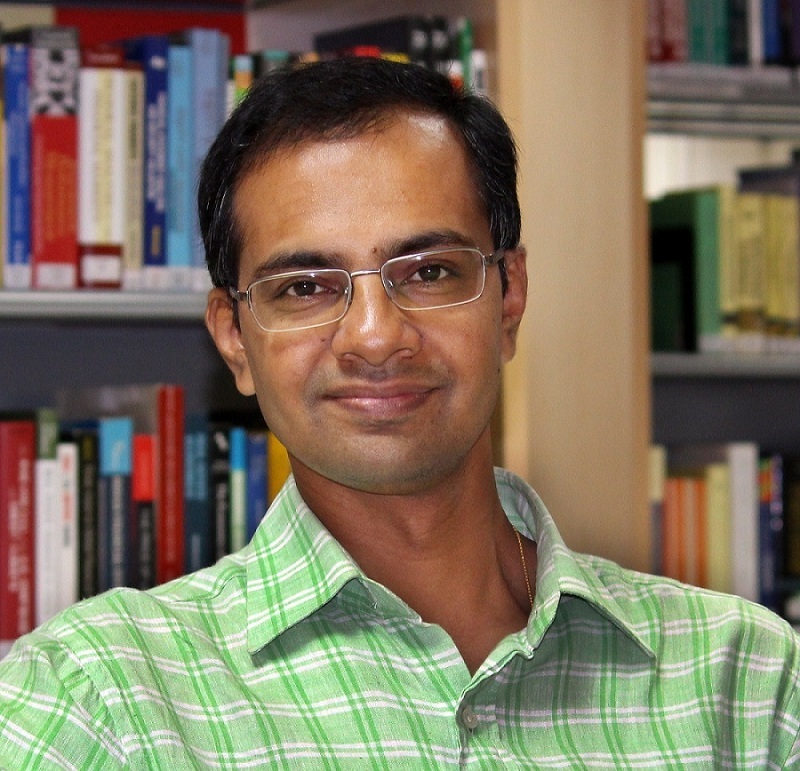 Prof. Sankalp is working as an Associate Professor in Strategy area at IIM Tiruchirappalli. He has completed his MBA and PhD from IIM Calcutta. He brings with him invaluable practical domain knowledge, having spent over a decade with organizations like the Tata Group, Infosys Technologies and Neptune Orient Lines (NOL) Singapore. He has worked in various functional domains with several cross-functional teams across multiple geographies, thereby gaining all-round experience which can be incorporated in classroom lessons involving strategic decision making. You may refer to IIM Trichy website to learn more about Prof. Sankalp and other illustrious professors at IIM Trichy. Without further ado, I once again welcome Prof. Sankalp as he enlivens us with his domain knowledge, experience and journey in this short interview. 1. We are all curious to know about your journey in IIM C, both during your MBA and PhD courses. What are the points of differences between MBA and PhD in terms of curriculum, work-load, global exposure and industry interaction? The curriculum structure and its spirit is vastly different across the two programs. MBA or PGP students get inputs which can help them think managerially, working towards enhancing organizational performance. On the other hand, a doctoral students’ key task is to decode managerial action and subsequently derive concepts and theories based on, but not limited to, empirical research. Broadly, the doctoral students work to derive and test theories which can help us understand various dimensions of organizational behaviour and performance, leading to further refinement of managerial actions. The MBA program is a roller coaster ride involving regular classes, equally regular examinations and the rush to the notice board to know the grades that one has secured. The PhD program, on the other hand, is seemingly languid after the coursework, but the ambiguity and hence the pressures of performance are vastly different. The level of interaction and competition with global forces is also different across the two programs. Pressure to perform in accordance with global standards is immense for doctoral students. They have to unambiguously follow the same journal list which says a Harvard student is referring to and targeting. For MBA students, often the competition is more local in nature. 2. When and how did you find your calling for a PhD? When I look back now, I can see a pattern in my decade long corporate career – an incessant need to decode how various aspects of organizational life are structured and how is the whole system stitched together. Sometime around 8 years into my professional career, I started feeling that my natural inclination towards this decoding process would find greater resonance in the domain of management research. Prior to my MBA, I had 2 years of strong exposure to engine room environment as a Maintenance Engineer on merchant ships. After that, I worked for another two years at Infosys during the Y2K phase wherein I got to work on projects for global clients. The work did not really stretch me and I decided to pursue my MBA to break the monotony. Post-MBA, every 12 – 18 months I kept switching horizontally across functions like Strategy, Marketing and Human Resources. This I felt got me onto steep learning curves even as one learning curve was tapering off and for this I would be eternally grateful to the Tata Group which allowed me this flexibility through internal transfers, for I don’t think I would have done all this if every change required me to look for a new organization. I got a ringside view of the organizational life by working with cross-functional teams and I felt that I could gainfully leverage this experience in research work. Additionally, I needed more autonomy with regards to my time, as my elder daughter was born. Hence, I opted for PhD. Although I work for more number of hours as compared to my corporate stint, I get far greater autonomy to choose my (research) projects and to structure my work-schedule during the day. 3. Can you give us your insights on the career options available post PhD in Management? Talking about post-PhD career aspects, India differs from developed countries such as Germany or Denmark. Barring a few niche areas, management PhD doesn’t create a significant difference in the corporate world when compared to MBA in terms of compensation, or even job roles. Possibly, as the economy matures further, the corporate world would need more specialized inputs; and that is when the people with PhDs will get commensurate value for their skills and knowledge in the corporate sphere. Thankfully, the number of IITs and IIMs has increased significantly in the country and along with that, the number of students in these institutes is also witnessing an upward trend – all leading to greater demand for high-quality faculty members. There is no dearth of opportunities in academia and research, which augurs well for PhD students graduating at this point in time. 4. As management students, we would be elated if you could shed some light about your role in Tata Steel as Senior Manager, Strategy? What challenges did you face dealing with heavyweight stakeholders, including the Government? I worked on multiple projects as Senior Manager, Strategy during 2004 – 2005 and was exposed to multiple projects underpinning Tata Steel’s growth ambitions. At that point in time, the global steel industry structure was changing at a very fast pace, with regular M&A activity leading to consolidation. LN Mittal created a template for the organizations to grow inorganically in this industry. Remaining a small national operator was no more an option in this changing landscape. The company had to explore many levers of competitive actions to thrive in the face of international competition. I got the opportunity to work on frameworks which evaluated various geographies for their attractiveness as a market for entry. We evaluated various global assets for acquisition and worked on a project to establish a Greenfield plant in a foreign land. From running econometric models on the desktop in the corporate office at Jamshedpur to physically scouting for the appropriate land near a port in a foreign land which I cannot name on account of confidentiality, this stint offered me quite dramatic variety. 5. How did you feel upon getting assignment related to the Corus deal? Any takeaways for the budding managers? I was a part of the integration office which was established after the Corus acquisition. A lot of synergies had to be derived and matters were particularly complex as the acquired company was far bigger in size than Tata Steel, the principal organization. The situation was ripe for the two organizations to learn from each other, collaborate, and integrate their management systems. I got the opportunity to join the integration office as a core member and witnessed the insecurities of individual employees after such a humongous deal which was sure to identify redundancies. A plethora of opportunities and an equal proportion of challenges arise when two large organizations get involved in such a deal. I got the opportunity to experience the first-hand magnitude and complexity of such issues which came in multiple forms. Travelling across Corus’ sites in Europe to carry out tasks related to cultural and operational integration was a unique lesson in cross cultural management. While we do our MBA we don’t realize the disproportionate importance of human resource for the fortunes of the company—the understanding of which I drew from the Corus deal. If the human resources management challenges are not addressed appropriately and in good time, wizardry in marketing and finance would amount to very little. All these specializations are tightly intertwined with humans who actualize them, and managers need to have the skill to direct the aspirations of human resources towards the larger goal of the organization- in the organization, nothing can possibly work efficiently if this basic tenet of management is ignored, or worse still, given mere lip-service. 6. Please describe your journey so far in IIM-T. People are usually apprehensive about new IIMs on a plethora of factors like placements, location, infrastructure, faculty etc. Can you shed some light about clearing some of those apprehensions? I joined IIM-T in 2016 when it was still operating from the NIT-T campus. The major change which I witnessed is from the time all the set up was shifted to the new state-of-the-art campus – where infrastructure is latest and fantastic, classrooms are best-in-class, aided by the latest IT infrastructure and a reliable network connectivity. I can get executives from different industries to interact with the class over video conference, which is so very useful given how busy managers are in this age and time. Placements of IIM-Trichy is improving continuously as more and more students are performing well there is no looking back. It is only going to improve further with the passage of time. Speaking of the location, Tiruchirappalli is a fantastic and safe place whose populace is also very friendly. It is surrounded by multiple weekend gateways such as Kodaikanal, Madurai, Srirangam, Thanjavur etc. where one can explore natural scenic beauties and historical sites. Trichy is well connected to Kochi, Bangalore, Mumbai, Delhi, along with direct daily flights to key international destinations such as Singapore, Colombo, Dubai and Kuala Lumpur. The international airport is only 12 km from the IIM campus. Trichy city has all branded outlets that one finds in a metro city, indeed the number of those stores are smaller given the lower population of the city, but you can find everything which you look for in a well-developed city. IIM-Trichy has 35 permanent best-in-class faculty members who are quite energetic and enthusiastic about teaching. For a young institute, this is a big number – also, the academic pedigree of the faculty members is absolutely first rate. They are apt at engaging students in the classroom and imparting essential concepts of management. You can refer to IIM Trichy website for more information. 7. We usually hear that Strategy as a domain has received a lot of flak for being vague and intuitive. However, people high up the corporate ladder creating such strategies for the companies will obviously have a radically different view. Since you have such kind of experience, can you help dispel such a myth? When we talk about Management Colleges, it is evident that the bulk of students are having an engineering background. These young students are understandably used to a decision-making process which is rational and codifiable. Invariably then, they look for similar method of decision making in the MBA course as well. While indeed there are techniques and frameworks in management, there also exists a reliance on intuition. This intuition is not without basis, it isn’t black magic, but is derived from a complex Bayesian setup involving how organizations work, how competition among the firms is set up, how individuals work in a collaborative fashion, what asset the firm has, capabilities of the organization, status of motivation level of the human resource, understanding of different functions – all of these go for formulation of strategy. Clearly, it is not possible to codify such a myriad set of concepts and frameworks but it doesn’t mean that there is no logic behind all this exercise. Students need to stop looking for formulae at all steps to take decisions in the field of management. They should be able to experiment, operate and figure out their own formulae to wade through the inherent uncertainty that lies at the confluence of social sciences, which is what management essentially is. One can’t take a strategic action unless one has a strong understanding of the various functional domains. A robust understanding of Strategy can only be achieved by combining the key concepts of different facets of organizational science, and by taking into account the aspirations of organizational actors and their psychology. If the pillars of knowledge of various functional domains is weak, then you will find yourself lost in the sea of intuition—but if your fundamental concepts are strong then you will be able to imagine sound logic bolstering your intuition. 8. Any words of advice for MBA students like us? A key aspect for any professional to start thinking about is what is the course, skill, function or any such parameter which the student genuinely likes. So first introspect then reflect, think and understand which functionality and what kind of organization would be best suited to you according to your skill sets. Participate in various competitions and don’t stay limited to the textbooks. Talk to your peers, talk to your seniors who have already worked in the industry. Constantly evaluate the roles in various organizations to find the best fit for your natural disposition. If not genuinely interested then don’t seek a particular role just because it is a high paying one. Do not become a victim to the Day Zero placement syndrome – instead, make sure that you get a job which leverages your interests / strength and you will find excellence, fame and money chasing you. Don’t get easily convinced by larger than life narratives and don’t evaluate organizations by their powerpoint slides. Make the PPT based narratives the starting point of your evaluation, not the last word. Students should try and find out what differentiates them from the crowd, and try to pursue such points of natural differentiation. As mentioned earlier, they should not be limited to merely classroom-based learning. They must pursue other interests like sports, literature, music, dramatics or any other substantial hobby. The question which may warrant introspection is: Am I just a MBA curriculum driven personality or I am bringing something else to the table? The answer to this will prompt you to become a better version of yourself. Mere proficiency in subjects taught for receiving the MBA degree will soon become a weakness in this era because you will have 4-5 different career choices in your 35 years of professional work life, so you need to get out of this uni-dimensional approach to learning which goes against the grain of dynamism. It is also important to keep a track of the current affairs, fast-changing business or global landscape, and the underlying uncertainties. Such a scenario might cause some apprehension, but can throw up really exciting, meaningful avenues for you. Appreciate and take an active part in this new world, continually reinvent yourself to be relevant and invest in yourself to learn such new age skills. In this dynamic world, you cannot depend on one course or one laurel to help you sail through forever. Great effort Apurva.. Happy with this differentiated content, focusing on our Professors who work hard to help students learn.. Honoured to have learnt under Prof. Sankalp and all other Profs in IIM-T.. Thank you so much Abirbhav for the appreciation. And yes we are indeed privileged to be taught by Sankalp sir. Prof Sankalp is one of the best professors that the institute has got and one of the best teachers I have ever come across. He is like a repository of knowledge and a great source of inspiration. Thanks you so much Indranil for the appreciation.